A professional MMA fighter — who fought in a Bellator event in 2015 — was arrested Friday for allegedly killing two people in what cops believe was a robbery gone bad. 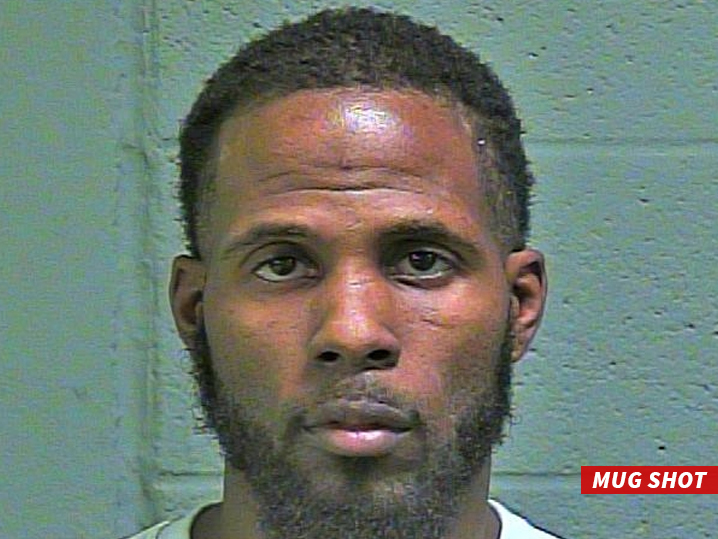 The suspect is Roshaun Jones — a 5’8″ 135 pound fighter from Oklahoma who racked up a 2-6 record as a pro. He last fought in Kansas back in November and lost in a 1st round armbar. But officials believe he’s not just a bad fighter, but a bad person — who shot two people to death in an armed robbery at a laundromat in Oklahoma on Monday. One of the victims was a female laundromat employee. Officials say the other victim was a male customer who tried to stop the robbery. Officials launched a manhunt with help from the U.S. Marshal service and he was arrested today on two counts of 1st degree murder. Jones is now behind bars in Oklahoma — where the death penalty could be in play if he’s convicted.